A bill requiring installation of ignition locks on the vehicles of drivers convicted of driving drunk after only the first offense was showcased Monday in a ceremonial signing by Gov. Dannel P. Malloy on the steps of Fairfield Police Department headquarters. The impetus behind the ignition interlock bill, passed unanimously by both General Assembly chambers, is to cut down on repeat DUI offenders, Malloy sad. "This year, the Fairfield Police Department made 78 DUI arrests," Police Chief Gary MacNamara said. "That's one every two and a half days. Through proper enforcement, education and effective legislation, which we are seeing being signed here today, we can stop DUIs from occurring." The new law, which takes effect July 1, 2015, requires that drivers found in violation of drunk driving laws have their license suspended for 45 days, and once the suspension ends, mandates the installation of an ignition interlock device on their vehicle. Previously, only repeat offenders were subject to the requirement. The interlock device is about the size of a cell phone and is wired into the vehicle's ignition system. The driver must blow into the device in order to start the vehicle. If there is a measurable amount of alcohol in the driver's system, the vehicle will not start. "We're trying to change behavior," Malloy said. He said a survey of those drivers convicted of DUI who have used the device shows that their behavior did change, and that some even opt to keep the ignition interlock on their vehicle past the required time. "It's another important step forward," the governor said, to make the state's roads safer for all who use them. 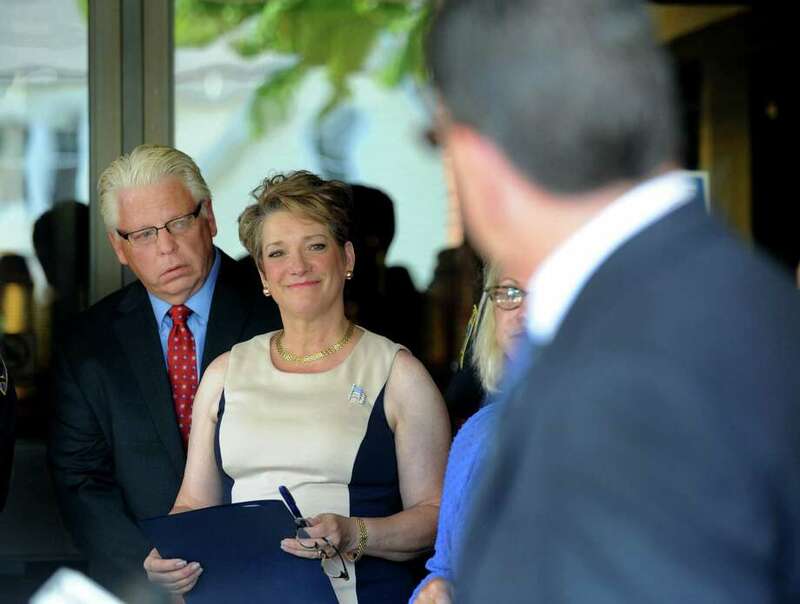 Colleen Sheehey-Church, state president of MADD, was on hand for the bill signing. Her son was killed 10 years ago by a drunken driver. "I am thrilled that the governor is here signing this bill," Sheehey-Church said. "As part of MADD, it's one of our goals to secure the future." - Decreases, in some cases, the suspension period for drivers under age 21 who are convicted of DUI for the second time. Connecticut becomes the 25th state to require the DUI-ralted ignition interlock devices with the signing of the bill.